The latest global financial crisis has troubled the United States and caused very bad debt crises in many Eurozone member nations due to their integration, common currency, and public policies, but with different economic structures among themselves. 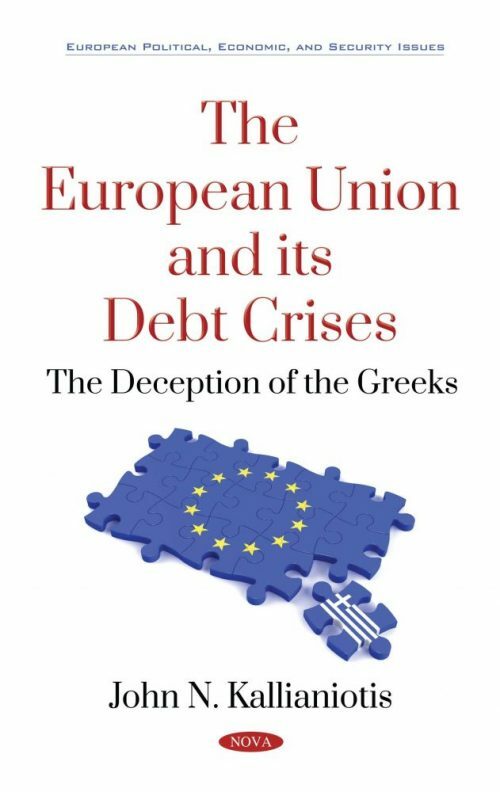 The European Union and its Debt Crises: The Deception of the Greeks provides readers with in-depth historical, structural, political, and practical knowledge of the European Union, the Eurozone, and how to confront the latest financial, economic, and social problems. The literature has been enormous on this unique debt crisis for the last eight years, but this book goes beyond the theoretical arguments of different outsider technocrats and gives details concerning the role of the EU institutions, the role of the EU member governments (especially of Greece, which has been deceived so much and for so many years by three different political parties in its government), the role of the Troika (Eurogroup, ECB, IMF, and later the Quartet), and the effects of the crises on the poor European citizens. These crises have unfortunately continued and reanimated recently in Italy. This book also discusses the ineffectiveness of the common public policies, the loss of sovereignty, and the challenges for the future of these “structures”, the EU and EMU. It also outlines some policy suggestions and recommendations for the European – primarily Greek – citizens in this globalized world, which is becoming more strenuous each day. Audience: Social Scientists, Economists, Political scientists, Historians, Sociologists, Financial analysts, and students studying these fields.